Here is another indicator of solar module manufacturing quality. Notice the solar cell color difference in the top center solar module. 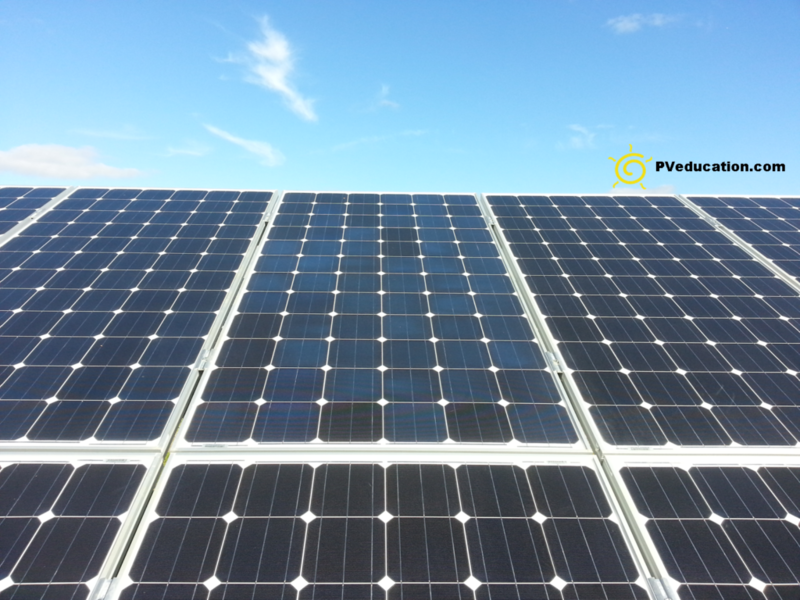 This is a difference in the AR coating, anti-reflective coating, that is applied to the solar cells. A manufacturer with tight quality control will not have differences like this show in their solar cell. The AR coating prevents light from reflecting off of the solar cells since reflected light will lead to lower performance. A difference like this on new solar modules will result is a lower yield over time from these modules. I wasn’t in any way associated with with the installation of these solar modules, I just happen to be invited on a tour of a large megawatt solar installation when I found several of these modules in the first row I looked at.